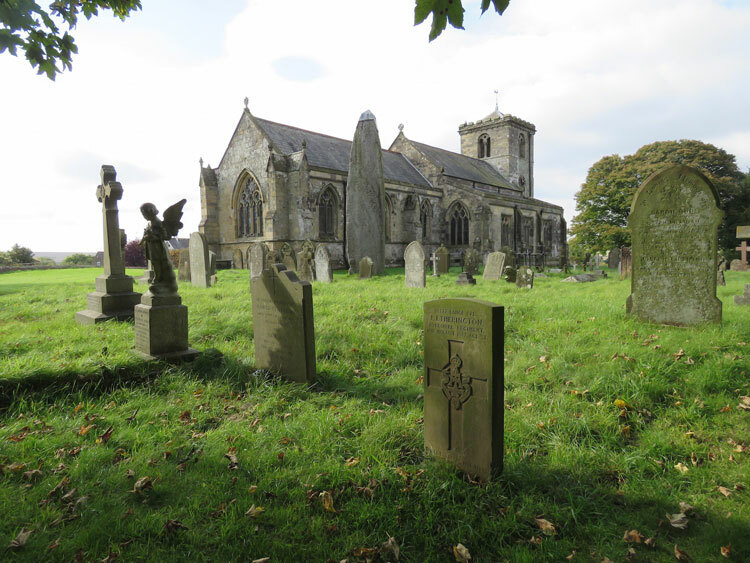 Rudston (All Saints') Churchyard contains two burials from the First World War, one of which is that of a soldier of the Yorkshire Regiment. 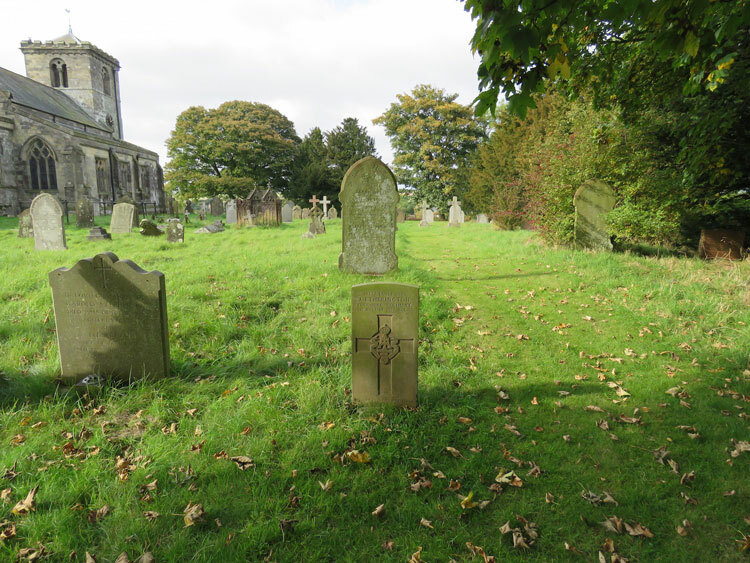 To view a larger version of the headstone photo below, which opens in a new window, select the thumbnail image. 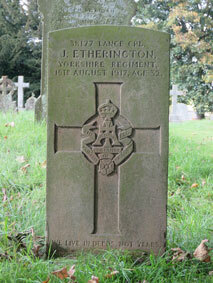 Lance Corporal James Etherington, 38177. 3rd Battalion Yorkshire Regiment. 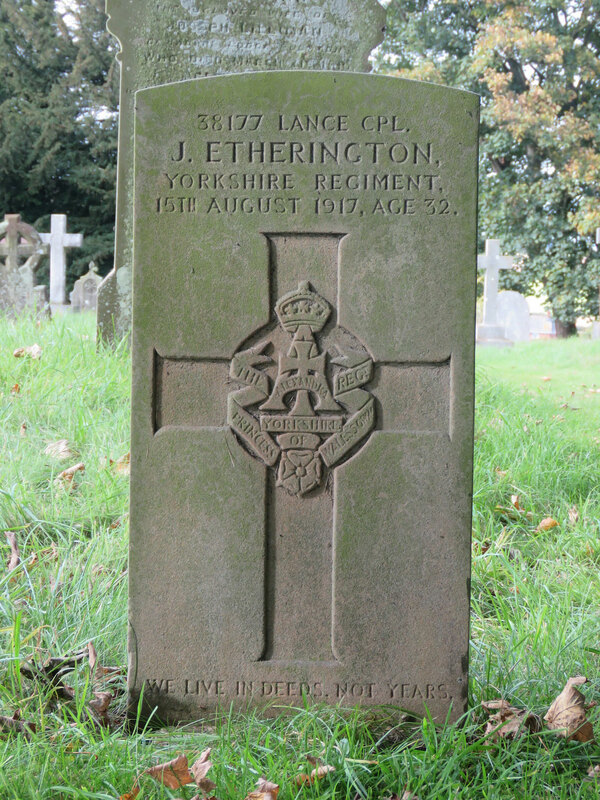 Son of Joseph Etherington, of Barnard Castle, Co. Durham; husband of Charlotte A. Etherington, of Salisbury Terrace, Bridlington, Yorks. Died at home 15 August 1917. Aged 32. Born Barnard Castle (Durham), Enlisted Redcar. "WE LIVE IN DEEDS, NOT YEARS"